Threat Alerts USA is a US threat notification service. We provide SMS (text message) threat alerts in real time. Our alerts cover, but not limited to, active shooter situations, acts of terrorism, protests, riots, natural disasters and dangerous weather advisories. Like every great company, ThreatAlertsUSA was born as a result of a need. A tightly knit group of security experts, our team saw the gap in public threat notification. Even during major natural disasters, the public doesn’t have timely access to all relevant information to make life saving decisions for their families. We have been sharing information and sending important alerts and warnings to our families and friends for years, along with on-the-spot threat assessments and action recommendations. It was time to take what we do to the next level and offer the same service to the public. We help you become the first responder for your family and give you the peace of mind and the confidence to act decisively no matter the situation. Our strategic partnerships in the security and threat assessment industry allow us access to breaking news before it hits the news outlets and frequently we can access information no one else can. Our aim is to give our subscribers the advantage of being the first to know when something is happening so you can act decisively and be the first responder for your family. Join our community and help your fellow Americans by directly sending breaking alerts to us and we’ll broadcast it to everyone. We are on a mission to bring you relevant alerts so you can not only be the first to know what’s happening in the country but also know whether you should take action. 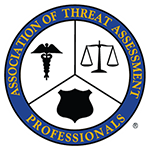 We want to be THE place you trust to get the latest information regarding any relevant threats in the US, including (but not limited to) active shooter situations, terrorism, riots, protests, severe weather to potentially dangerous political demonstrations. We are working to bring you the most focused, location-based alerts and hope to release state-based alerts in the near future. Someday, we’ll have the capability to deliver community-based threat alerts. Please support us as we grow! We don’t want you to be the victim. To this end, we will deliver the pertinent alerts and action recommendations so you know what to do to protect you family, friends and community. We believe anyone can become the first responder for their family. With Threat Alerts USA, you will be the first to know what’s happening, before it ever becomes the news. We believe in providing you with the intel you care about. No politics. No propaganda. Just the situation alert. Former seasoned experienced Investigator, Undercover Narcotics Detective, experienced in undercover operations, Certified Narcotics Detective, Street Gang Suppression Unit, Certified FBI Police Sniper, Threat Assessment Expert With decades of investigations, law enforcement and military service under his belt. Graduated “Top Recruit” and “Honor Recruit” from a major city Police Academy, earned numerous citations from multiple agencies. Served in the US Army, US Army Reserve and National Guard with Special Forces Group, Engineering Battalion (Combat) (Heavy) and a National Guard Infantry Brigade. Our Founder has developed a preparedness mindset that has helped him successfully manage numerous dangerous situations throughout his career as well as in his personal life. He is passionate about teaching his family, friends and neighbors to stay safe through awareness and preparedness. Contact Threat Alerts USA if you have any questions or breaking alerts.